“When a woman is on her own, twice separated and on the ‘wrong side’ of forty-five, what does the future hold for her?” And so begins the first chapter of My Double Life by Muriel Marks. The arc of this extraordinary, expansive and at times harrowing autobiography takes place over a 15 year period. 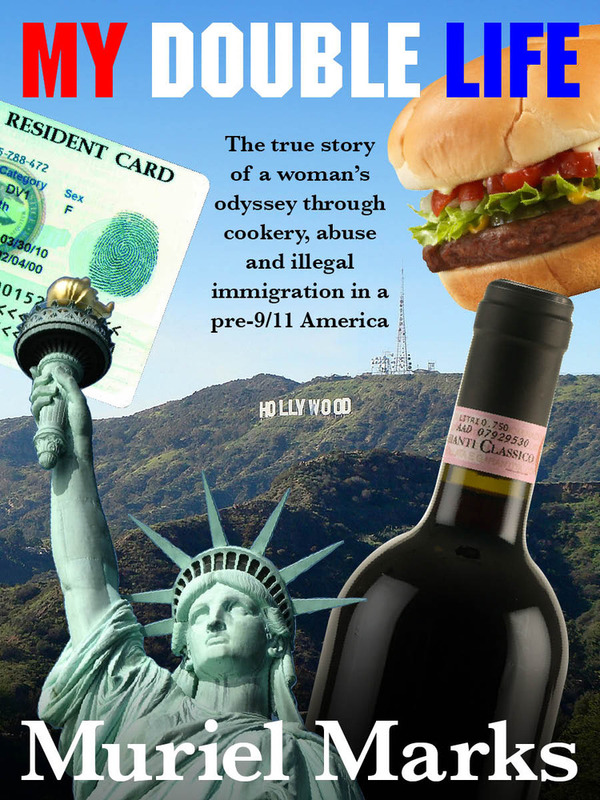 It discusses from a first person voice in clear, well crafted and sometimes expletive language the subjects of cookery, abuse, alcoholism and illegal immigration. Indeed, much happens over the 42 chapters of this true and unique story. Fortunately for us, Muriel kept copious notes during her times in the US and the UK. The book is thick with detail, tracing every step of this epic journey; from the hopeful beginnings of a new restaurant business start up in Paignton, to the highly abusive relationship of an alcoholic and his “enabler”, to the entry level perspective of an illegal immigrant, to the hussle and dog eat dog world of survival in LA and beyond. Publication to Kindle has now never been easier. There are numerous services offering Microsoft Word to KDP (Kindle Direct Publishing) David N. Welton’s LiberWriter is one such excellent service. They not only supply the tools to translate Word into KDP, but they also throw in a very handy page for marketing. The book jacket design is by BuyDesign.